Before relying on sleeping pills, try these natural sleeping remedies and take control of your health! If you are having trouble falling asleep and sleeping soundly through the night, you are certainly not alone. Millions of Americans suffer from chronic insomnia, and even more experience some kind of sleep disruption at least a few times a month. Turning to sleeping pills can help you get some much needed shut-eye, but in the long term it may benefit your overall health to use natural sleeping remedies. Sleep is crucial for diabetics – click here to learn why. Chronic sleeplessness can really take a toll on your waking life, leaving you exhausted at the office, interfering with your productivity and wreaking havoc with your relationships. Even worse, driving tired ups your risk of an auto accident, putting your very life at risk. You might think the only cure for your chronic insomnia is a heavy-duty sleeping pill, but that is not necessarily the case. Before you resort to a potentially addictive and possibly dangerous sleep medicine, you owe it to yourself to try these 10 healthier alternatives first. You do not need to resort to potentially dangerous sleep medicines, not when there are effective herbal remedies as close as your local health food store. Designing your bedroom for better sleep can reduce your insomnia and help you enjoy a better level of rest. If you find yourself lying in bed for an hour before falling asleep, try pushing your bedtime back 45 or 50 minutes. Coffee, soft drinks and other caffeine-heavy beverages makes it harder to fall asleep and interfere with your rest. Keeping your smartphone by the bed can be bad for your sleep – the blue light tricks your body and the constant buzzing can wake you up. Vigorous exercise just before bedtime could make it easier to get to sleep and stay asleep through the night. Snoring and other physical problems make it harder to sleep, so ask your doctor about the latest treatments. Meditation relaxes your body and mind, making it easier to fall asleep and stay asleep through the night. A healthy diet is good for your sleep, so watch what you eat. If your mattress is lumpy and uncomfortable, consider an upgrade. 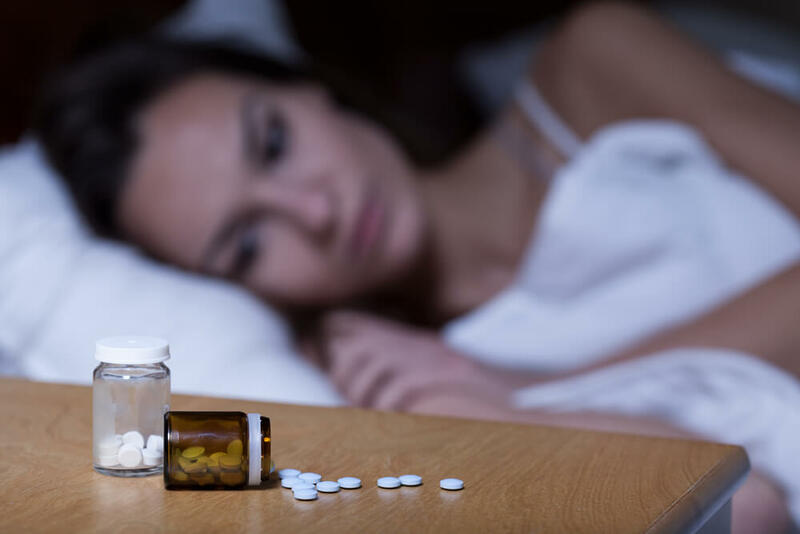 It is not always easy to get the sleep you need, but sleeping medications are not the only solutions. With a few simple changes to your daily routine, you might be able to improve your sleep without the use of potentially dangerous prescription sleeping aids.